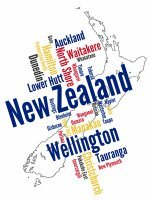 The Australian Antarctic Division operates broadcasting stations, originally with 20 watt A.M. transmitters, (now F.M. ), at each Antarctic base, to entertain staff. All operators are volunteers. The A.C.M.A. denies that these stations exist. Interestingly, the Australian Antarctic Division doesn’t deny they exist, but refuses to acknowledge the presence of these stations at their bases. 0HI - Heard Island. Opened in 1948. Initially used by our first official expedition as part of the Government’s legal process of claiming sovereignty over Heard and MacDonald Islands. Operated by later expeditions when occasionally good reception conditions occurred from Australia. 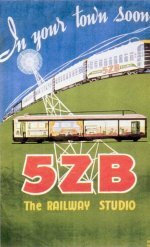 They would sometimes relay 2NZ Inverell, being the only receivable Australian station. Closed in 1954 when the Heard Island base was moved to Mawson. 0MA - Mawson station. Opened in 1955 with some of the 0HI equipment. In 1967, engineer Chris Simpson located in the Auroral Physics hut a little transmitter and a suitable 1570 KHz. crystal which provided five watts. With modifications to allow different inputs, it was possible to plug in a microphone and tape recorder or Eddystone shortwave receiver or whatever. 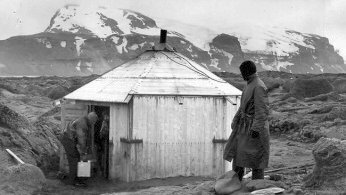 "Radio BLIZ", as it was called, provided programming for those expeditioners at Mawson in 1967 who had transistor radios and wanted some background music to keep them company in their workplaces (often solo in a specific hut). 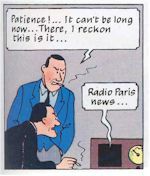 There were very few announcements; what started out as pre-taped music for the benefit of the three in the Auroral Hut, was by popular request, broadcast for all with radios to hear. When anyone was in the Auroral Hut, they would put the music on. They originally had about 36 hours of assorted music on magnetic tape, and created more from LP records at the base. On special occasions, there might be other material transmitted, e.g. birthday wishes or special requests or retransmissions of Australian A.M. stations (which occasionally came through) or of the A.B.C. 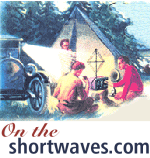 shortwave weekly program "Calling Antarctica" (which was sometimes okay but often barely discernible through the blizzard static and auroral interference). After a modest increase in output power was engineered, there were a couple of instances in which Radio Bliz was instrumental in station communications to nearby field parties and also to the relief ships as they approached close to Mawson at the end of a years service there. 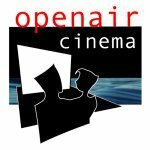 More recently, programming is from a computer situated in their bar, with anyone accessing the computer to program their favourite songs. Now known on air as Radio BLIZZARD (sometimes Radio SLUSHY) with 16 watts on 107.5 FM. 0CY - Casey station. Actually started in 1957 at the U.S. Navy station at Wilkes. This station was established as part of worldwide studies associated with the International Geophysical Year. 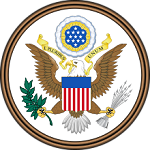 From 1959 the station was a joint operation by the U.S.A. and Australia with 25 personnel. Two Americans had brought a tape recorder and a whole box of programs recorded off their local station WLEE in Texas. 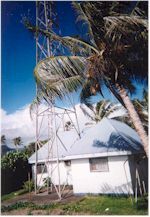 An Australian member of the team, Steve Grimsley (a 3UZ engineer), decided to build a broadcast transmitter so that the entire base could listen to the programs. He found a 1573 KHz. crystal and built a five watt transmitter. Using a record player and records from their recreation hut, plus the tape recorder and the WLEE pre-recorded programs, and an amateur radio microphone, Steve went on the air with Radio KOLD in 1961. WLEE tapes were played during the day, and everyone took turns at being a disc jockey (with mixed approval) in the evenings. In 1966, engineer Noel Barrett built a higher powered transmitter using an 807. In 1968 the Wilkes station closed down and everything was moved to establish the Australian Casey base two kilometres away in 1969. Radio KOLD was installed in their chapel. When reception conditions were good, they relayed 3UZ, 3XY, 5AN and 6KG. They always received numerous requests from visiting supply ships for records to be played. Their signal was often used by Russian Antarctic supply planes for direction finding. At one stage, an increase in power saw coverage up to 250 kilometres for Antarctic expedition and scientific trips. In more recent years, the station has also been used as an unofficial ‘paging’ system to locate workers, as most of them carry small portable radios. In 2006, regular volunteer announcers included Alby, Swivel, and Psycho. Now known on air as Radio COLD on 102.5 FM. 0MI - Macquarie Island. Used a 25 disc CD player feeding a transmitter with a large selection of CDs. Now on F.M. Licensed amateurs are also given ‘0’ callsigns here, despite Macquarie Island being part of Tasmania. Comment: being part of Tasmania, shouldn’t their callsign be 7MI? They have a Tasmanian postcode - 7151. 0DA - Davis station. Known on air as Radio ICY. Now on 107.1 F.M. The photo is of their volunteer announcers Kernel, Nick, and Stu. References: Australian Antarctic Division periodical Aurora. Chris Simpson (VK0CS), ex 0MA engineer. Richard Unwin and Craig Hayhow, ex OMA operators. Philip Fitzherbert (VK0PF - VK3FF), ex 0CY operator. Steven Grimsley (VK2VK), ex KOLD and 3UZ. Paul Gigg, ex 0MA and 0MI operator. Broadcasting station “Radio KOLD” at the joint Australian and U.S.A. Wilkes base. Photograph courtesy of Steven Grimsley. Steven (from 3UZ) built the 20 watt transmitter and installed all the equipment. 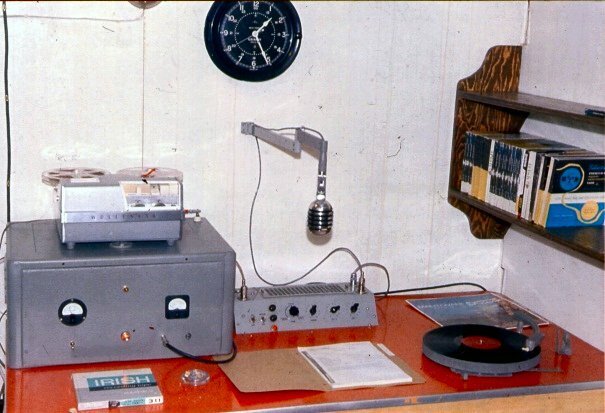 Note the ham microphone, tape recorder, a U.S.A. Navy clock, turntable, and a collection of pre-recorded programs on tape from WLEE in Texas. Three expeditioners from Toowoomba were able to receive and relay 4GR through KOLD in 1968; with 4GR often sending them ‘cheerio’ calls from family members. 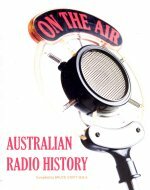 In 1948, the ABC commenced a weekly program “Calling Antarctica”. 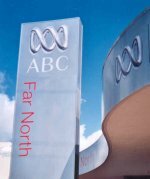 Family members of the Antarctica expeditioners could visit any ABC studio and record a message for their relations working at the Australian bases. These were broadcast on shortwave every Friday afternoon. This service continued until taken over by satellite communications in the 1980s. "I heard about it on the old valve radio."